Bilingual readers discover engaging, fun, and fascinating facts about kangaroos. Kangaroos are social animals that live in groups called mobs. Except for an occasional boxing match, kangaroos live happily with each other. The vibrant photographs in this book show different species of kangaroos grazing, resting in the shade, and raising their young. 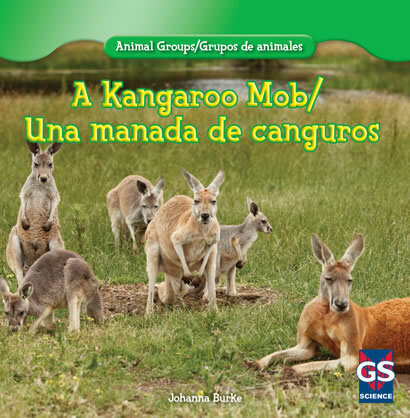 Accessible text--with translation of English into standard Latin-American Spanish--and a detailed graphic organizer guide readers as they learn how kangaroos grow up and what life is like living in a mob, in Australia.